Are you fascinated by flight? Do you watch aircraft fly overhead and dream of flying them? Have you flown as a passenger in aircraft and wondered what it would be like to be sitting behind the controls? Have you used computer-based flight simulator software and want to experience the REAL thing? Are you interested in a career as a professional pilot? Whatever your motivation is, your first step is to go on an Introductory Flight. For 45 minutes you will sit beside an FAA-certified flight instructor who will introduce you to the world of flight. Under close supervision you will actually take the controls and will be guided in performing fundamental flight maneuvers. You will experience first-hand all that goes into a typical flight from beginning to end, perhaps being amazed at how uncomplicated it all really is! 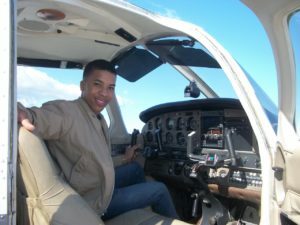 For some, the Introductory Flight it done to satisfy the curiosity factor, but for others it is the ultimate step in deciding whether to begin the process of pursuing a flying license. 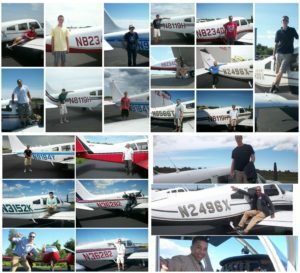 Introductory Flights may be conducted in our C-172M, Piper Warrior II, or Piper Warrior III.